Kendra started this business in Austin, Texas back in 2002 with just $500 and a dream. In 2010, we opened our very first store on South Congress. 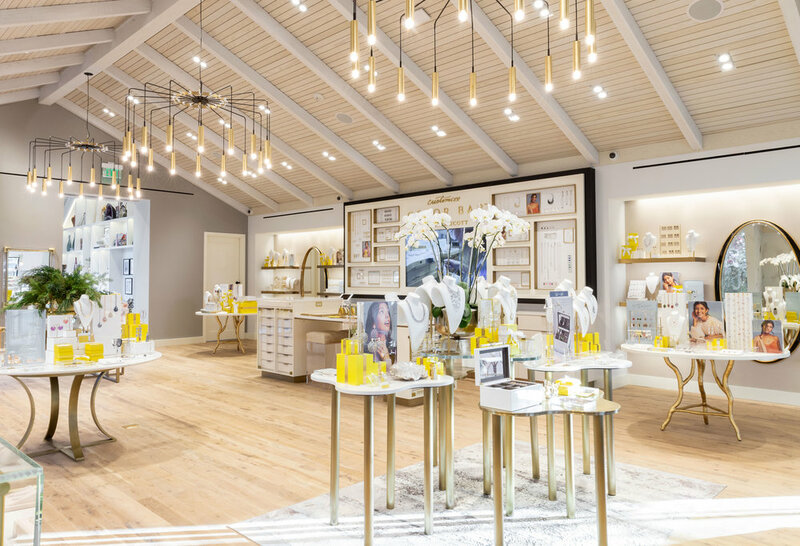 Now, just down the road, we’re thrilled to give you a tour of our new Kendra Scott Flagship Store. First, let’s talk about the building: Dating back to the 1800s, we just love how it represents all the history of the vibrant street it was built on. From the outside, you’ll notice a signature mural that changes seasonally, two gorgeous patios, and free valet – because we know how hard parking can be in the city. Once you walk in, you’ll want to head straight to our Color Bar™, where you can customize your own jewelry. And of course, you won’t be able to resist our Fine Jewelry vitrines, housing our complete collection of diamonds. 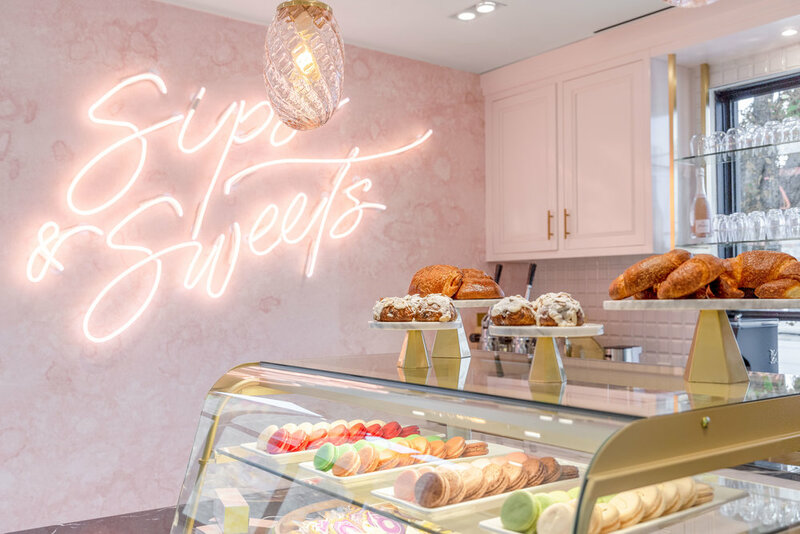 The main event (that should definitely be at the top of your list of things to do in Austin) is our first-ever Sips & Sweets Café, an indulgent brand experience featuring a seasonal rotation of bites from local bakers, as well as a selection of global wines and other drinks. 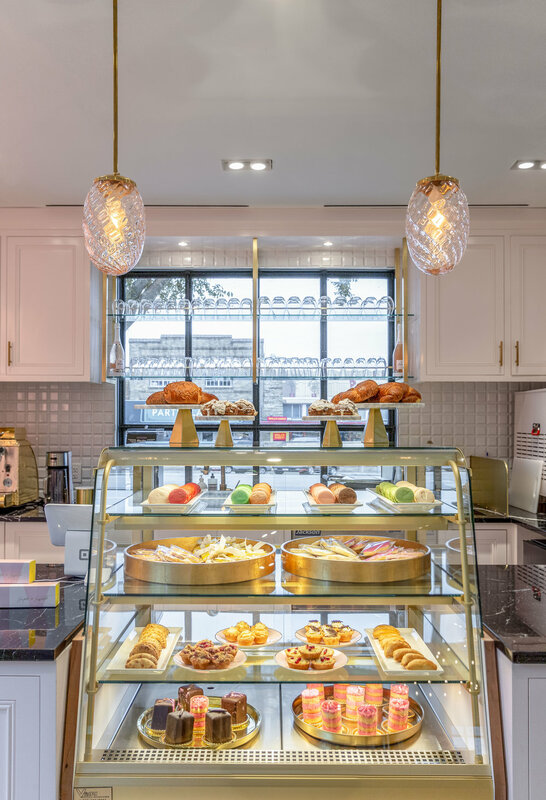 … an entire room dedicated to our Home Collection with curated, one-of-kind décor, as well as dinnerware, mugs, tea sets, and more exclusive to the Flagship. Fun fact: The table was once part of our original design studio. Some final can’t-miss details? Our custom wallpaper with 16 years of sketches on it, art designed by local Austin women, and high tea served by reservation only on Fridays and Sundays. The rest, you’ll just have to come and see for yourself! P.S. 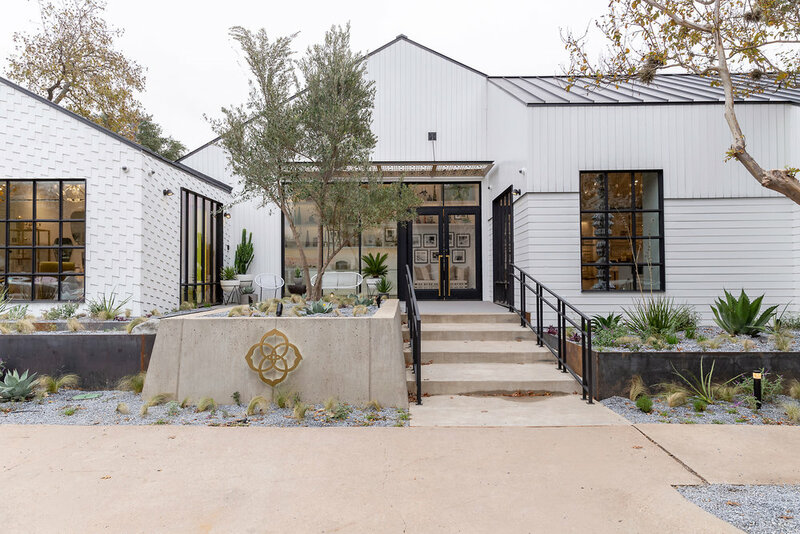 We’re always looking for a reason to celebrate, so be on the lookout as we announce all kinds of things to do in Austin at our Flagship.